The Manu Samoa is back. In front of their home crowd at Apia Park yesterday, the men in blue showcased passion and next level ball skills to beat a strong German side 66-15 at full time. An emotional Head Coach, Titimaea Tafua spoke to the Sunday Samoan that his team had to win this game, not only for a spot in next year’s World Cup in Japan, but for the people of Samoa. While previous match results of the team put the Manu Samoa on an unfavourable part of the spectrum, the boys, according to Titimaea, played their hearts out to turn the tables around. And there was no secret at all, he said. “I think the boys today (yesterday) they really want win, especially in front of our people since it is only one game to be played here in Samoa and the boys played from their heart,” Titimaea said. Titimaea acknowledged all the supporters and attributed the team’s success to the home crowd and families. “I just want to thank all the supporters for backing the Manu Samoa team even though we’re still on the losing end of the game; we still want to thank our supporters for always being there for the boys, especially to the families of the boys for their prayers." 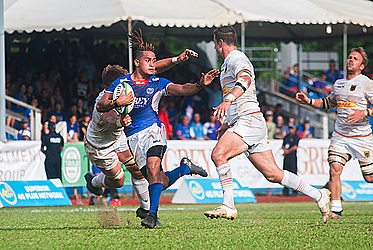 Yesterday’s match was a thriller with spectators on the edge of their seats cheering the Manu Samoa team as they went under the sticks with five tries, successfully converted before the half time whistle sounded. First two tries by the Manu Samoa team were scored by centre Alapati Leiua few minutes into the first half. The third try was scored by Jack Lam playing open-side and the fourth and fifth tries were scored by No.14 wing Ed Fidow. First half tries were successfully converted by the magic boots of No.15 fullback Ah See Tuala. The German team only managed to put three points on the score board by No. 12 Centre, Raynor Parkinson, after a penalty against the Manu Samoa team going into half time. Germany came back strong in the second half scoring two tries by Jaco Otto playing open-side with only a try successfully converted by Raynor Parkinson. 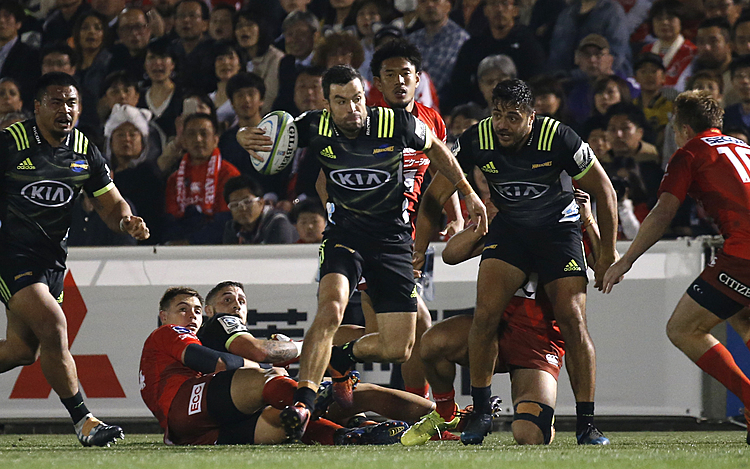 But the Manu proved too strong with a penalty try and four tries by scrum half Melani Matavao, No. 19 Joe Tekori, Dwayne Polataivao and another one by Ed Fidow to seal the deal for the Manu team. Three tries were successfully converted. Where to next for the boys? Next two weeks, the team will face Germany again but this time on their opponent’s home ground. “We still have some mistakes that we will need to improve on and we will work on that, and the team is doing well without any challenges at the moment,” Titimaea said.